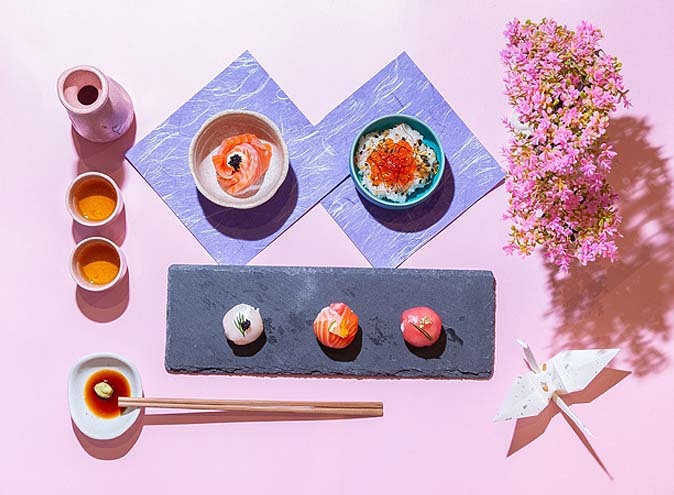 Beyond a boutique store front on busy Glenhuntly Road lays a cosy neighbourhood haunt that comes to life when dusk settles. 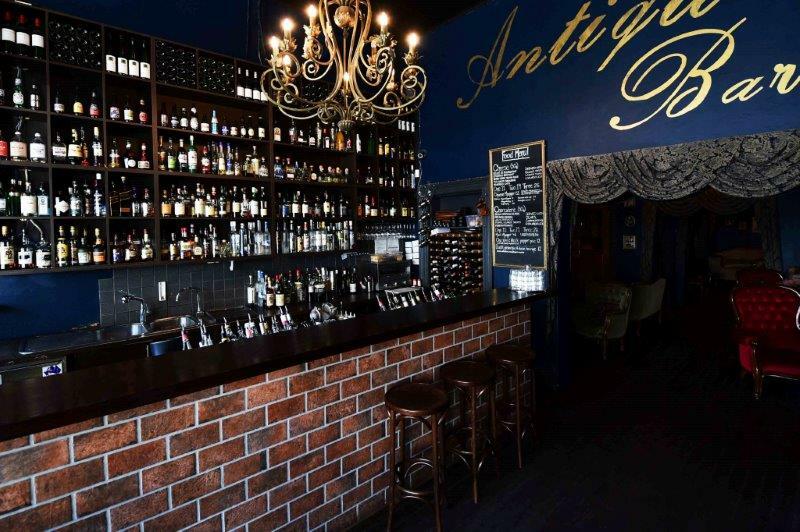 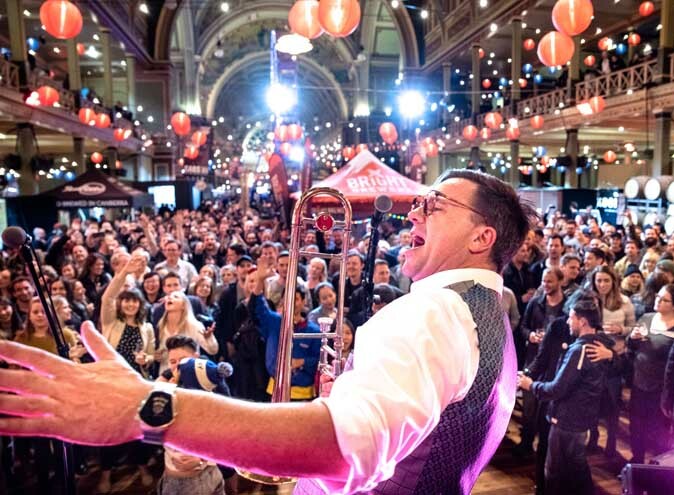 The Antique Bar is full of charm and is perfect for cocktail parties, birthdays, wedding receptions, corporate functions, engagements, anniversaries, Christmas parties, product launches, and just about any other celebration you care to think of. 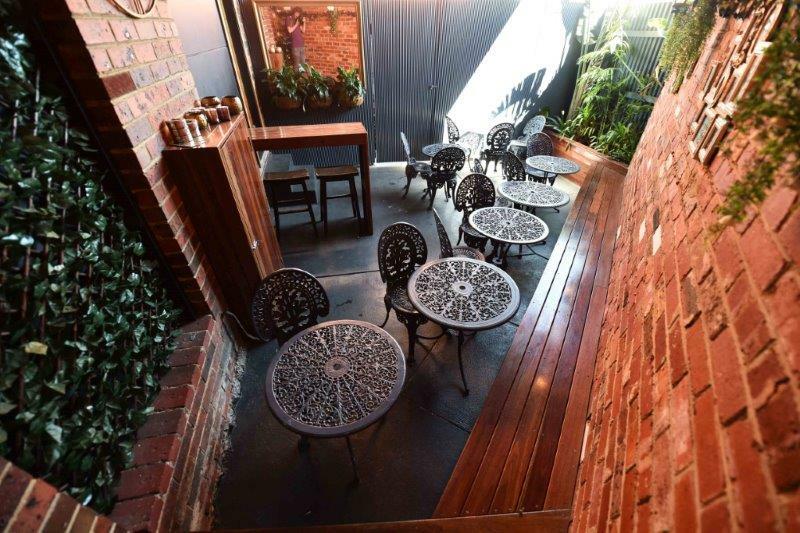 Set on busy Glenhuntly Road, it's an easy walk from the Elsternwick Train Station, Tram/Bus Stops and Taxi Ranks are a stone’s throw away, meaning you and your guests can take it easy and enjoy! 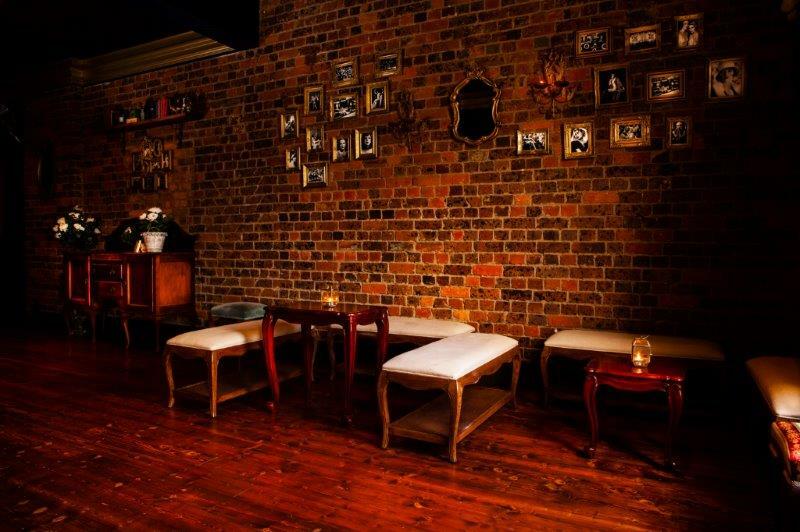 Whereby you come in with a group of friends whilst the bar remains open to the public. 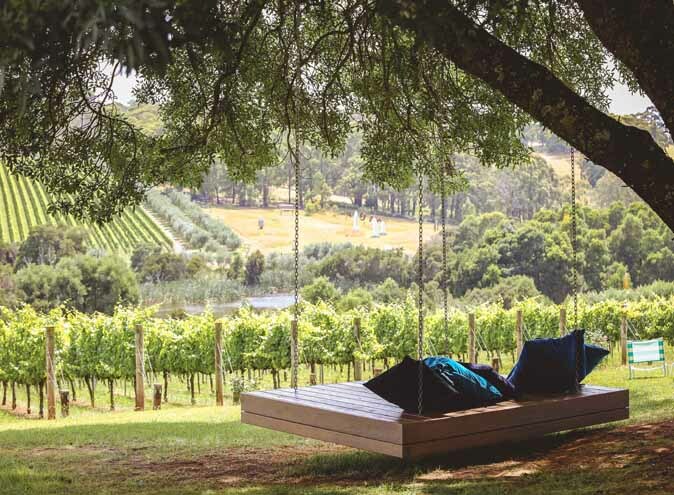 Simply advise them of the number of guests that you are expecting and at what time they will be arriving. 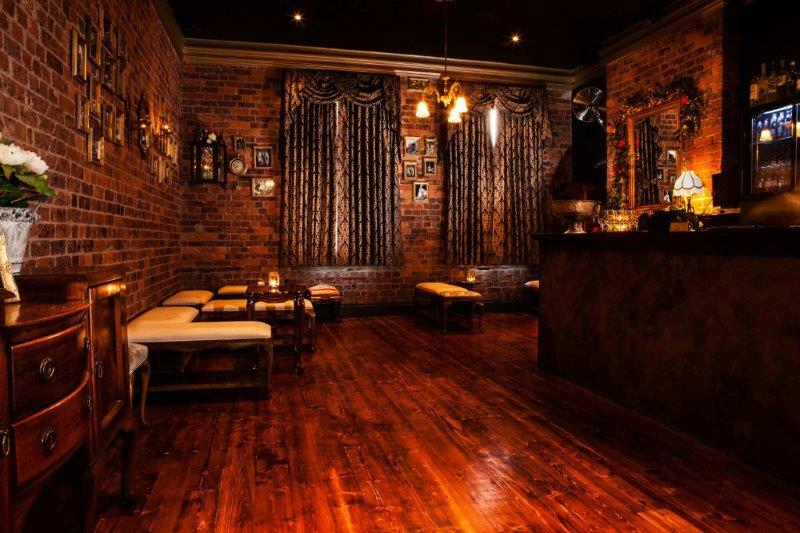 Seating can then be reserved on the night for you and your guests by request. 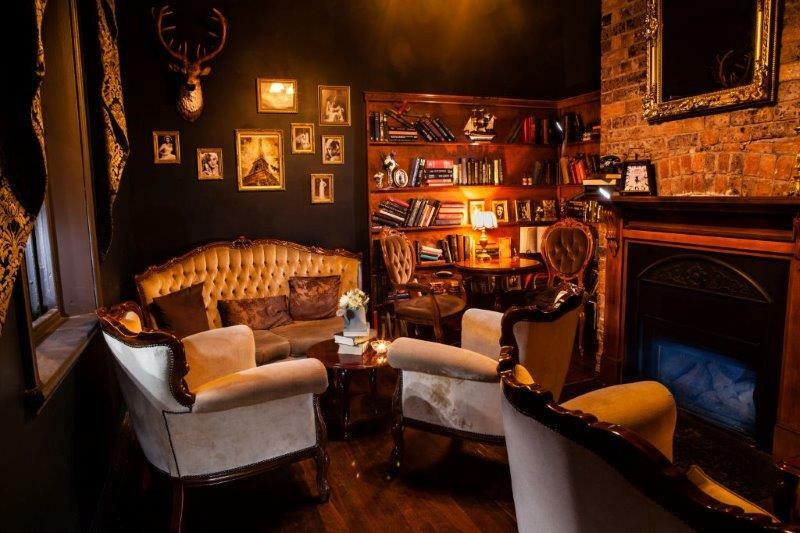 The Library is a cosy room with a fireplace and suits functions with less than 25 guests. 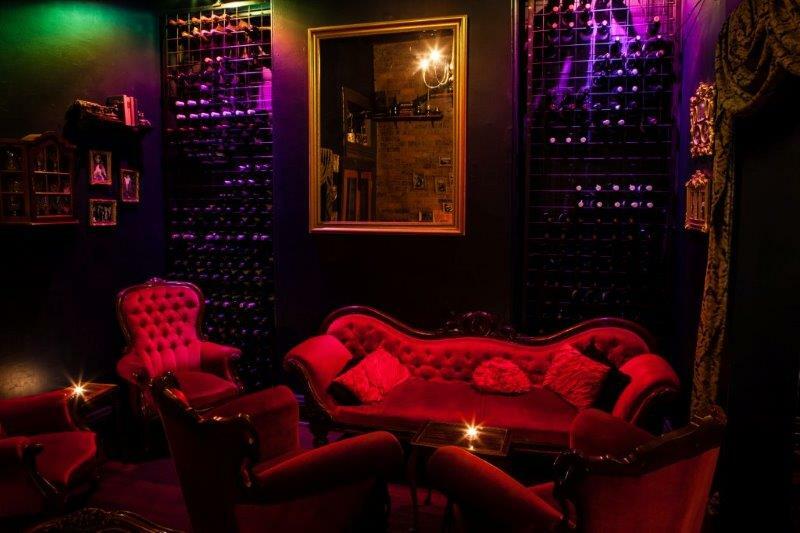 The Wine Room gives you & your guests room to mingle and suits parties of 20 & above. 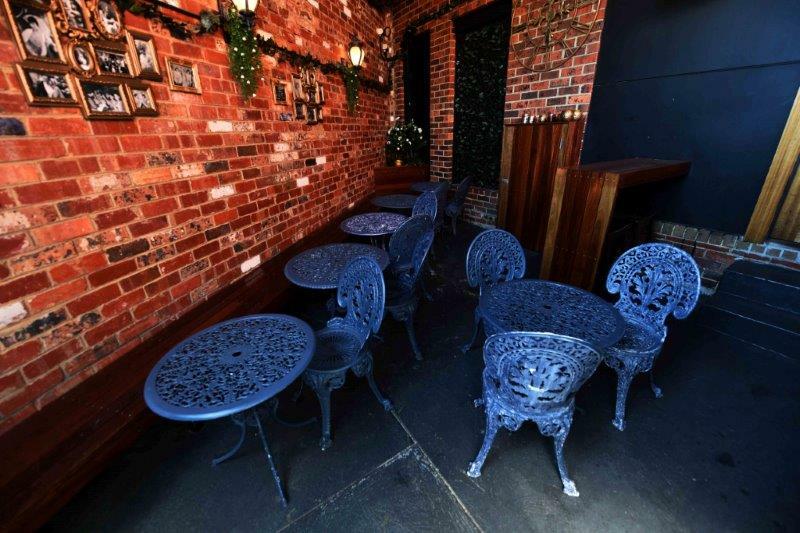 The Courtyard is alfresco drinking at its best and is weather protected with heating for the cooler months. 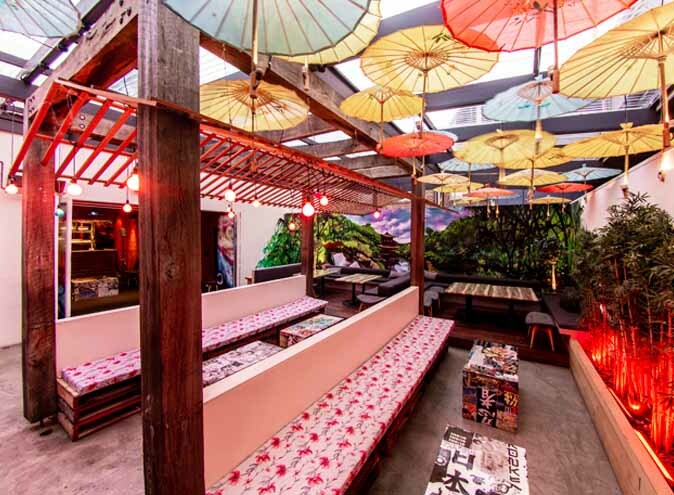 This space can be hired exclusively for large group bookings & can accommodate up to 40 guests. 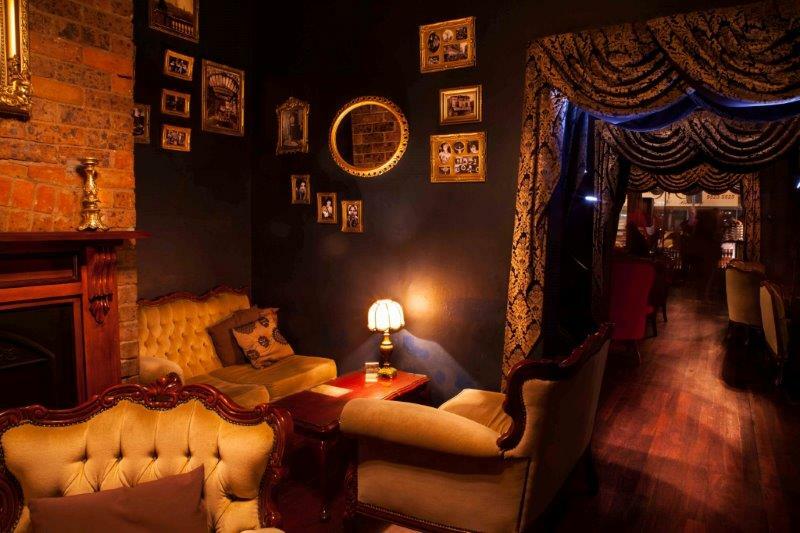 This is Antique Bar’s private function area. 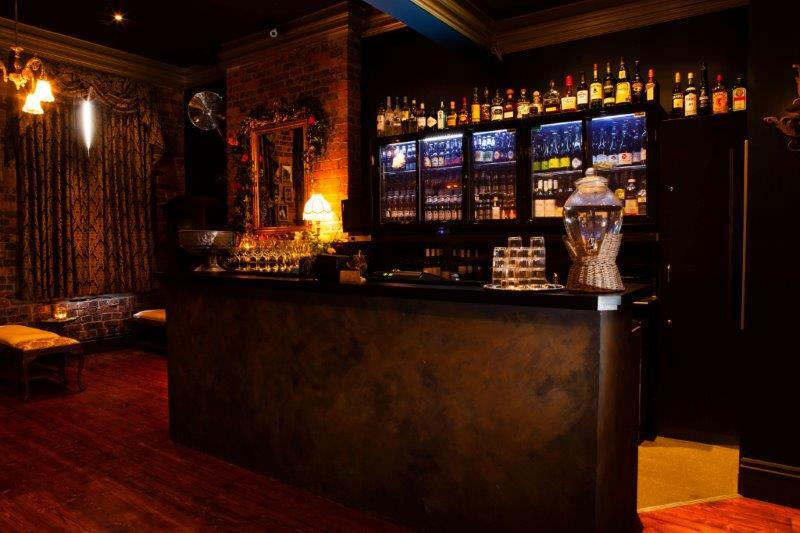 Located on the first floor, the space can accommodate up to 70 guests & is perfect for cocktail style functions. 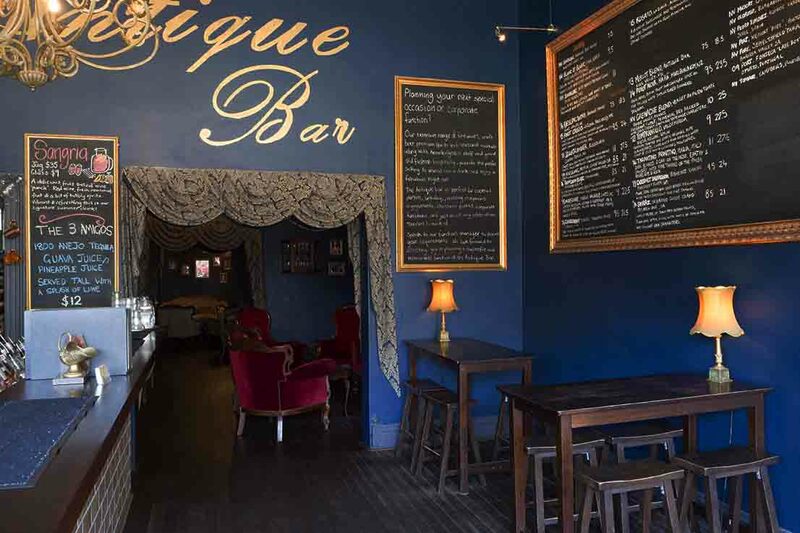 Intimate, cosy & full of character it features a service bar & powder room. 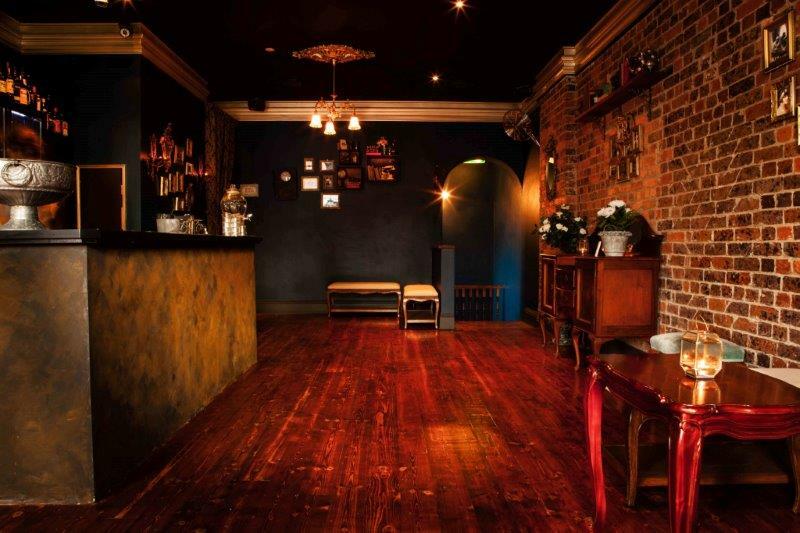 Exclusive use of the venue is available Saturday - Thursday from 5pm till 1am for a party of up to 120 guests downstairs and an additional 50 guests upstairs. 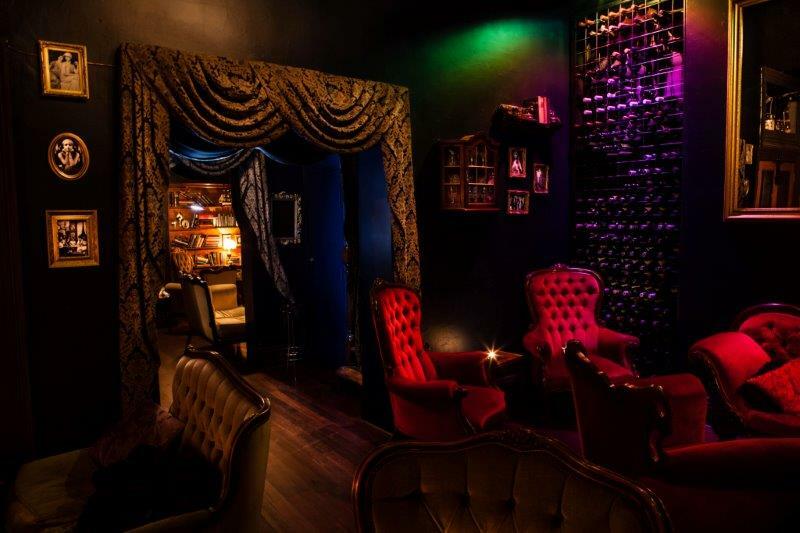 Extended exclusive hire is available up until 3am by negotiation on Saturday nights.